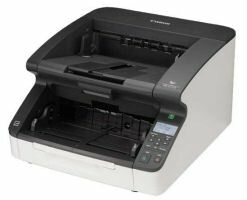 The Xerox DocuMate 6710 is the ideal scanner for both large-volume and distributed scanning environments. It has a duty cycle of up to 35,000 sheets per day and has been engineered with innovative features for easy operation and productive batch scanning, including stapled document, ultrasonic double feed detection and support for long document scanning. Digital transformation is here, and for many enterprises, capturing large quantities of paper will continue to be a vital need. Discovery documents in the legal world. Incoming medical records in healthcare. Client documents in asset management, banking and mortgage services. Testing and student records in education. Applications in customs, immigration and other government services. Clearing boxes of historical records everywhere else. All of these applications require an on-ramp that will handle these needs with operator ease and no surprises with the ongoing cost of ownership. The DocuMate 6710’s 100 ppm / 200 ipm speed is just the start of the story. Visioneer’s On-Board Acuity technology handles 15 image enhancements in hardware, saving PC processing time. A true native USB 3.0 connection delivers a fast pipeline. Finishing off the job, Visioneer Acuity detects the available memory and processing power of the connected PC and uses multi-thread, multi-core logic to ensure that the PC itself isn’t the bottleneck. The result: scan speeds as advertised. 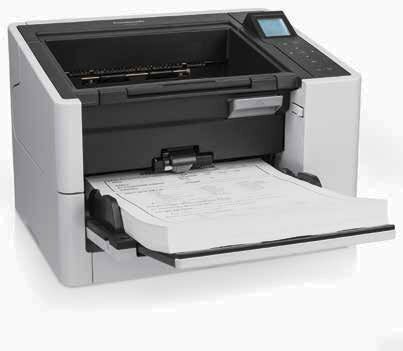 You can connect multiple DocuMate 6710’s to one scanning workstation, multiplying the number of pages handled every hour. And each scanner can be running a different workflow. This opens up a completely new way to handle scans in a concurrent fashion. Connect two 6710’s, scan on one while you’re setting up the other. Or run several at the same time. We support up to 10 connections – the only limitation is the capacity of the connected workstation. The industry’s first scanner workflow solution, Visioneer’s OneTouch with Acuity allows operators to define the steps the scan will go through from scanning to integration with the destination. What’s more, the 6710 can store up to 90 jobs on the control panel display, so they can be selected without the PC. Completing the story, Visioneer TWAIN DriverPLUS with Acuity provides precise control of scan settings, beyond the TWAIN drivers offered by competitors. This is vital to easy integration with IT and cloud document and content applications. Visioneer Acuity with DriverPLUS technology enables your scanner to instantly improve the visual clarity of scans. 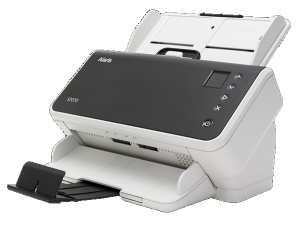 On the DocuMate 6710, fifteen Acuity features are onboard, which means it is built into the scanner hardware, thus saving CPU power and keeping you scans going at full speed. Using advanced algorithms Acuity intelligently corrects documents containing imperfections, increases OCR accuracy, and improves the quality of scanned images for archiving. Visioneer OneTouch is an easy-to-use scanning utility that sends your scanned documents to nearly any destination by simply pressing a button on your Xerox® DocuMate® scanner. The scanned files are automatically delivered to a folder, email, Microsoft Office application, a local or network printer, or create a custom workflow. OneTouch is integrated with Visioneer Acuity so the image enhancement features are all available with the simplicity of one button scanning. Based on the most current TWAIN 2.X specifications, Visioneer DriverPLUS combines the features of advanced 32- and 64-bit native Windows®-based TWAIN and WIA drivers PLUS. It seamlessly integrates with Visioneer OneTouch and Visioneer Acuity, creating an integrated software solution that produces scanned images of the best quality possible. Barcode reading and Patch Code Detection are included in DriverPLUS. This powerful OCR tool converts scanned images into editable text reducing the need for retyping and paper storage. Convert your scans into various file formats, including searchable PDFs. It accurately reads documents in up to 179 languages and precisely preserves the original document’s layout and formatting. 18.4" x 17.5" x 13.6"
Longer term warranties up to 5 years are available.